Choa Chu Kang Park | JustRunLah! Run among the remnants of the old fruit tree plantations and explore the nature areas of the park, which even includes a small stream. 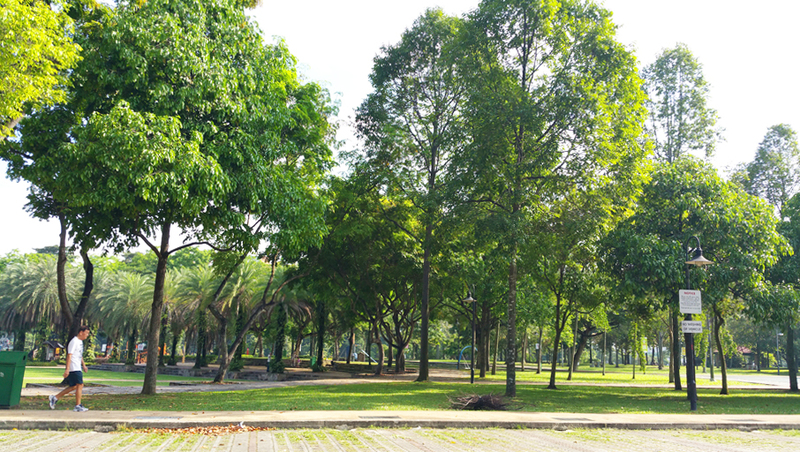 Choa Chu Kang Park is a lush, green space among the ‘hardscape’ of the surrounding area. As you run through the park, you can also spot and identify various fruit trees such as durian, breadfruit and assam. Located in the north-western part of Singapore, Choa Chu Kang Park is brimming with recreational activities for the whole family. With four different areas, a small skate plaza, a wide range of fitness stations for the young and old, lawns and event spaces, there’s something for everyone. Choa Chu Kang still retains its history as a rural area where kampong villages and crop plantations flourish. Its name “kangchu” is a reference to the early Chinese immigrants who settled along Sungei Berih, and “chu” is the name of an established clan. Today, nature lovers can walk among the remnants of the old fruit tree plantations and explore the nature areas of the park, which even includes a small stream. Home to an array of birds, the park is also a great place for bird lovers to enjoy the symphony of chirps in the early mornings and evenings. Families and friends can bond over meals at the restaurant located in the park. 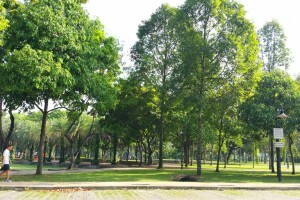 You may run around the park, or make use of the 5.4 km Choa Chu Kang Park Connector that links Choa Chu Kang Park to Bukit Batok Town Park near Bukit Gombak MRT station via the heartlands of Choa Chu Kang neighbourhood. Otherwise, you may also loop around Limbang Park and Stagmont Park, which are only in the vicinity of Choa Chu Kang Park.